We’re LIVE! Time to Volunteer for Gwinnett Great Days of Service! Are you ready to volunteer, Gwinnett? We’re READY! We’ve opened the projects and we’re ready to sign up volunteers for Gwinnett Great Days of Service! Individual Project Links: Access our projects 2017 page by clicking HERE – you can access individual project links and register yourself or your group. 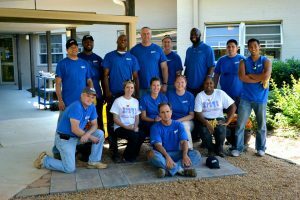 ALL Project Links: Access the Volunteer Gwinnett site HERE – search on “Great Days of Service” or “GDOS” and you will see a full listing of all projects, volunteer spots open, and the link to register yourself or your group. Go sign up now and make a difference on October 20th and 21st, 2017! Thank you for participating and making this the BEST GDOS year yet.